MANILA – Devotees of the Nuestra Señora del Carmen flocked to San Sebastian Basilica for the mass and solemn procession on the eve of January 29, 2019. The Holy Sacrifice of the Mass started at 6:00 p.m. ministered by Reverend Father Rommel Rubia, OAR. In his homily, Fr. Rubia first explained the reason as to why the parish celebrates the said feast on January and not on July 16 with the universal Church. He expounded that this practice was a revival of the traditional feast day of Nuestra Señora del Carmen de San Sebastian during the 1650s. He said that since the establishment of the Confradia, an organization whose members were devotees of the said title of the Blessed Mother, the Holy See allowed the Spanish friars to choose a special day for our Lady. It would be fitting for them to choose January 21, just right after the feast day of San Sebastian. Few years after, it was moved to January 29 so that there would be a novena in her honor. Then he shared his experiences of how is it to be under the mantle of our Lady. Finally, he exhorted everyone to wear the brown scapular at all times. After the Hoy Sacrifice of the Mass, Reverend Fr. Alexus Mansueto, OAR handed the keys of the abode of Our Lady to Reverend Mother Lucena L. Antipala, A.R., superior general of the Congregation. Shen then carefully walked on the staircase to the altar; and assisted by Sr. Marily N. Cula, A.R., vicar general of the Congregation, she prayerfully knocked and opened the abode. Prior to the arrival of the Carmelites in the Philippines, the devotion to the Brown Scapular of Our Lady of Mount Carmel and the devotion of this image was fostered and became popular through the efforts of the Augustinian Recollect Order. 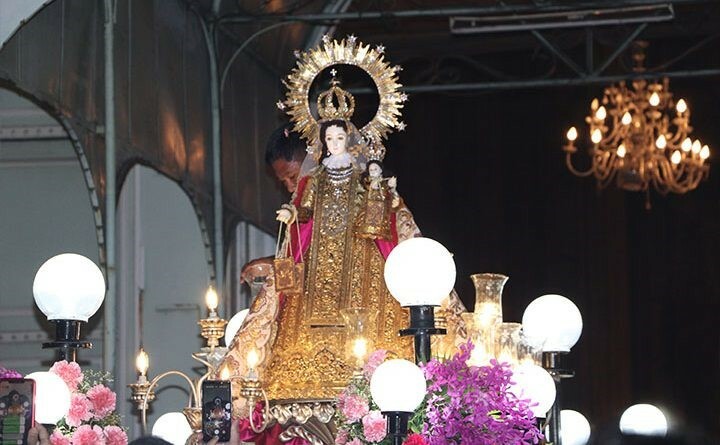 The image of Nuestra Señora del Carmen enshrined at the Minor Basilica of San Sebastian is the first image of Our Lady of Mount Carmel in the Philippines; this was brought by the Recollect friars. 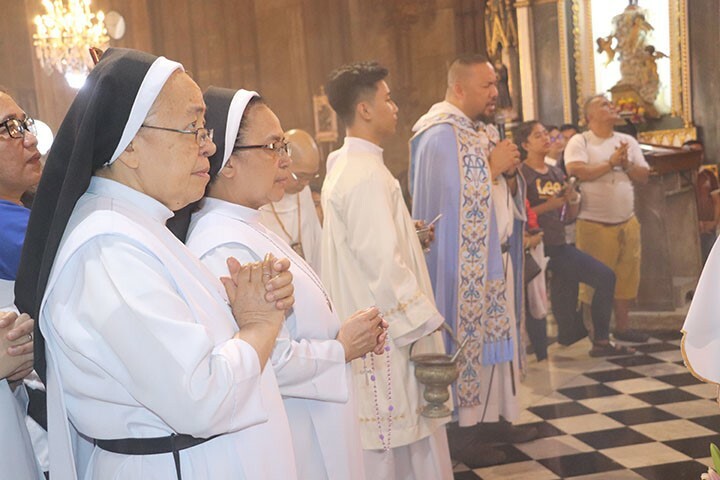 Inspired by our Lady, the siblings of Calumpit, Bulacan, Mother Dionisia and Mother Cecilia Rosa Talangpaz, established a community of women dedicated to God and the Blessed Mother. They both offered themselves to the service of the Lord in the twofold way of contemplation and action: their lives centered in the daily Holy Eucharist, nourished by the filial devotion of Our Lady of Mt. Carmel as they engaged in silent apostolate in the sanctuary. Without planning to found a religious congregation, those who succeeded them perpetuated their community life, their filial devotion to Our Lady and their heart’s desires which has eventually led to the birthing of the Congregation of the Augustinian Recollect Sisters.